Google is testing a new advertising product seen as the last piece it needs to complete its ad tech superstructure. The search giant is building a data management platform to help target ads and connect brands with people online more effectively, according to sources familiar with the plans. "What they're trying to offer the community is a one-stop shop ad stack all in Google," said one digital marketing executive. Google has a demand-side platform for advertisers to buy digital ads; an ad exchange for publishers to sell ads; an attribution product to measure performance; and a dominant position in search and mobile. "They just don't have a full service offering yet," the executive said, adding that a data management platform changes that. The Audience Center will be available to advertisers using Doubleclick's ad exchange and third-party ad networks. Doubleclick advertisers also could continue to use outside data services when buying with Google. Google confirmed that it is working on the platform, but declined to provide details. "We are testing data management capabilities in DoubleClick to help partners better manage their own data as well as that from third parties," the company said in a statement. In the past year, Facebook emerged as a formidable rival to Google, with a people-based ad platform thanks to its 1.4 billion users who log in on various devices with their true identities. The social network has the Atlas ad server, Facebook Audience Network, and tools for brands to target custom audiences, among other ad tech offerings. Industry players have been trying to emulate Facebook's ability to match data to the right users as they move from one device to another. For instance, AOL's One promises to recognize 100 million people across devices and deliver relevant advertising. It's not as easy for Google as it is for Facebook to connect people's Web personas from device to device. 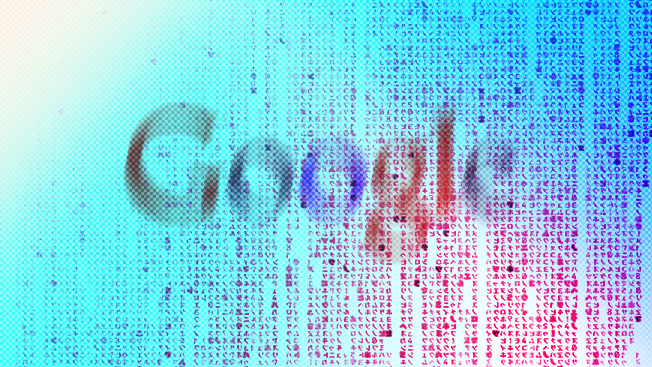 Still, Google has two dominant properties that a data management platform could integrate—billions of users of its search engine and more than 1 billion Android users. It also has YouTube and Gmail, among other popular services. "Obviously Google has troves of data. It's one of the things that makes them so successful," an ad tech executive said, adding that the "last mile" for its ad piping is to tie the information more accurately to Web users on desktop, mobile, tablet and even digital TV. A data management platform could be the key to helping advertisers do just that. "Google knows who is searching for what, and now it knows how to get in touch with people directly," a digital marketing executive said. "You can see how incredibly valuable that is." Of course, Google faces regulatory scrutiny for any move it makes, as well as talk of anti-competitive practices. In fact, the company was charged in Europe last week with behaving like a monopoly in search. The ad tech community has been concerned that Google is offering all the services that lock advertisers into its ecosystem and squeeze out rivals. "Google has to wade carefully, because they are under a magnifying glass with everything they do," the marketing exec said.